Is India’s optimism over Iran’s Chabahar port grossly misplaced? Home Latest india news Is India’s optimism over Iran’s Chabahar port grossly misplaced? The first shipment of wheat from India was sent last week to the Iran’s Chabahar port and then onwards by rail and road to Afghanistan. This marks New Delhi’s attempt to avoid Pakistan, which does not allow Indian goods to transit its territory. The fact that the long delayed project is at last taking shape, has led to general euphoria on all sides and a somewhat misplaced expectation of steadily increasing the volumes on this route. The grain sent out to Afghanistan from a port in Gujarat was a gift from the people of India to the citizens of Afghanistan. “The shipment of wheat is a landmark moment as it will pave the way for operationalisation of the Chabahar port as an alternative, reliable and robust connectivity for Afghanistan. It will open up new opportunities for trade and transit from and to Afghanistan and enhance trade and commerce between the three countries (India, Iran and Afghanistan) and the wider region,” the statement released by the ministry of external affairs noted. But this is an unrealistic and overtly optimistic assumption. With US President Donald Trump ready to tear up the landmark nuclear agreement signed in 2015, chances of fresh sanctions being slapped on Iran by the US Congress are very high. Once this happens it will be difficult for both India and Afghanistan not to heed US pressure. Though Delhi as a rule does not pay heed to sanctions, unless they are mandated by the UN Security Council, the US has found a way to deal with this. From past experience it has learnt how best to target companies doing business with Iran. To make the sanctions effective, the US had earlier decreed that any company doing business with Iran cannot operate in the US. It cannot also have any dealings with American financial institutions. With America still the world’s largest economy and its financial clout spread across the world, it is difficult for any company to continue dealing with Iran. No company or government is in a position to turn its back on the US, unless there are political motivations. For India under Prime Minister Narendra Modi, bent to take relations with the US to a new unprecedented height, the question of not supporting US will not arise. The stakes are too high, more so because Washington is now promising to deliver high-tech defence technology so long denied to India. One of Donald Trump’s election promises was to walk out of the Obama sponsored Iran nuclear deal. He has already taken the first step in this direction, by refusing to certify Iran’s compliance to the agreement. Though the International Atomic Energy Agency, which is on the ground in Iran, inspecting every aspect of the country’s nuclear program, had certified three times that Tehran has stuck to the agreement, Trump refused to certify it. Now he has asked the US Congress to come up with fresh ideas to make the deal much more stringent and slap nuclear sanctions against Iran. Despite the fact that other countries, who were part of the agreement like France, Germany, UK, Russia, China as well as the EU are lobbying hard to keep the agreement intact, the US remains adamant. President Trump has also warned that if lawmakers refuse to act, he has the executive powers to enforce his will. So despite the fact that European countries, China and Russia are all opposed to Trump’s move, he can well wreck the deal and impose fresh sanctions on Iran. This is why despite India’s optimism, using Chabahar for growing trade with Afghanistan seems doomed to fail. This, so long as Donald Trump continues to be adamant. Chances of Trump changing his views are remote. More so, because he is pleasing Saudi Arabia, UAE and other Sunni powers worried about Iran assuming its rightful place in the world. 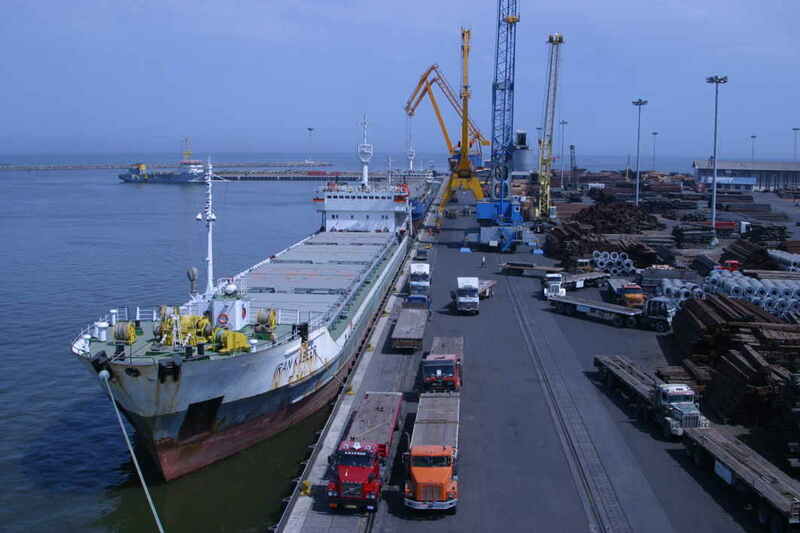 The idea of using the Iranian port for trade with Afghanistan took shape in 2003, during Atal Bihari Vajpayee’s term as prime minister. Thanks to crippling sanctions slapped by the US on trading with Iran, the project never had a chance to take off. When sanctions were lifted after the nuclear agreement another bilateral agreement was signed between India and Iran for the development of both the port and railway track to transport the goods to Afghanistan. India has already constructed a road from Delaram in Afghanistan to Zaranj at the Iran-Afghanistan border at the cost of $134 million. This road would help to carry goods by road from the Iranian border to different destinations in Afghanistan. Developing an alternative trade route as not to be held hostage by Pakistan was a good idea. But the US-Iran relations have hit this project hard. Earlier it was delayed because of sanctions and now it is unlikely to take off as relations between the US and Iran deteriorate.